If you are landed on this page, I am sure you know the value and importance of this magnificent Volcano Box Inferno Tool. If you do not the value and use, then you need to watch some tutorial, I think there would be hundreds of tutorial over the internet. So, you can watch each tutorial for fixing one issue of you. Like, if you have locked the pattern, and do know the pattern lock, and want to remove the lock without of losing any data, then this Volcano Box Inferno Tool will be the best option for you. 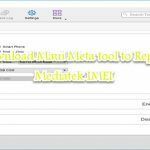 Just download this tool from the link below, install it on the computer, and install the proper USB driver for your concerned mobile phone, and just tap the remove lock button, you will the pattern will be removed. If you are trying to unlock the FRP locked the phone, the phone which has been locked to use any other carrier or network, and then this Volcano Box Inferno Tool will be the best option for you. As this tool has great impact over removing the locks of this kind, like FRP lock, phone lock, and pattern lock. Reading info on the mobile phone with this tool for your Android device will become easier. As there will be an option to know the very deep info of your phone, you can know each and everything. Reset Pin lock of the phone is one of the most used tools of this application software, just tap the button of Reset Pin with ADB and your lock of the pin will be removed right away. This tool has become a one-stop shop; every problem regarding the Android phone is just away from your fingertip. But of the guys have the problem of not installing this application tool. For them, I want to narrate the complete procedure of installing, Volcano Box Inferno Tool. As you are downloading this tool from this website, in APK format, so Google Play Store does not allow any application downloaded from the third party to install on their OS, to ensure the security of the phone. So, you need to change the security of your phone, tap the setting, tap the security setting and tap the unknown sources button. After this, you would be able to install this application on your device. Flashing of the device, on the other hand, is one of the best features of this phone. You can install the official or stock ROM or custom ROM on your device. As flashing of the phone is very difficult task to do, you need to be very cautious before doing one of the tasks. You connect your phone to the computer; you should install the USB driver on that phone. And after connecting the phone tap the Flash button and do not forget to create the backup of the phone. And connect your device with removing the battery, mean to say, download option should be enabled to install the flashing files on your mobile device. You can download this Volcano Box Inferno Tool from the link below, as we already have given a download button there. 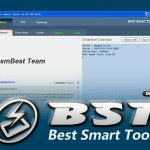 You can install this tool on your computer to fix all the issues on your phone.